This lovely 4-bed, 3.5-bath home is walking distance to the heart of downtown Kirkwood. 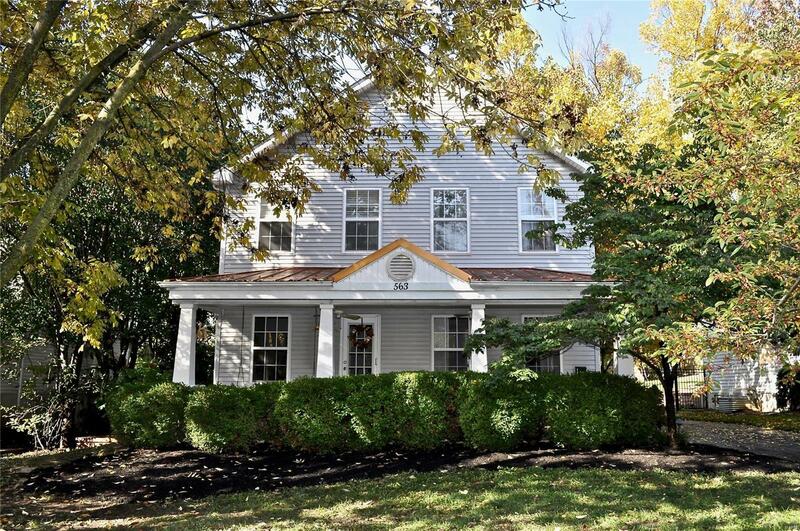 Nearly 3,600sf of living space, this 23-year young home sits on a large, fenced lot with mature trees & landscaping. The 1st floor features a large kitchen & hearth room w/ granite countertops, stainless appliances, gas fireplace w/ built-in bookshelves, hardwood floors, and 9-foot ceilings. A master suite w/ huge custom walk-in closet, luxury master bath w/ large jetted bathtub, walk-in Carrera marble shower, and double vanity gives one a sense of serenity. A 2nd en-suite bedroom features a walk-in closet, and private bathroom. Two more bedrooms share a 3rd bathroom w/ double sinks. The finished basement provides more living space w/ ample built-in storage. A large covered front porch spans the entire front of the home. The attached 3-car garage has plenty of space. A side wood deck & patio, huge backyard are great exterior features. New HVAC in fall of 2018.